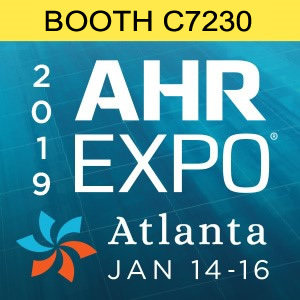 Come visit Superior AccuTrak® at the 2019 AHR EXPO! Find us at the show! Come visit Superior AccuTrak® in Booth #2937 at the 2018 AHR EXPO January 22-24 in Chicago, IL. We will have our complete line of AccuTrak® Ultrasonic Instruments on display including our popular 3rd generation AccuTrak® VPE! We will be available to answer any questions you might have about our instruments and personally help you determine which Superior AccuTrak® products are best suited to your application. We look forward to meeting you at the show and invite you to preview our full line of products at superiorsignal.com. H appy Holidays from Superior AccuTrak®! Take advantage of BIG discounts on all AccuTrak Kits from now until December 6th. Dont miss this chance to get your hands on a new AccuTrak Ultrasonic Leak Detector - The fastest and most effective way to pinpoint leaks of ANY GAS in air conditioning, refrigeration, automotive and other systems! 15% OFF All AccuTrak VPE Kits! 20% OFF All AccuTrak VPE-GN Kits! Come visit Superior AccuTrak® in Booth #3844 at the 2016 AHR EXPO January 25-27 in Orlando, FL. We will have our complete line of AccuTrak® Ultrasonic Instruments on display including our popular 3rd generation AccuTrak® VPE! We will be available to answer any questions you might have about our instruments and personally help you determine which Superior AccuTrak® products are best suited to your application. We look forward to meeting you at the show and invite you to preview our full line of products at superiorsignal.com. NEW AccuTrak® VPE and VPE-GN Kits! Superior Signal launches new website!